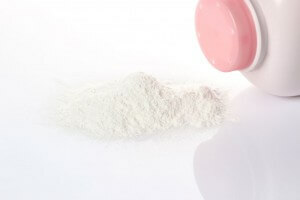 Talc was first linked to ovarian cancer in the 1980s because it commonly caused inflammation around the ovary. This inflammation increases the risk of developing ovarian cancer. Despite the risk of cancer development, several of the nation’s largest drug and cosmetic manufacturers continued to market and sell talc-based products. After years of petitions and negative publicity, some companies agreed to eliminate ingredients that are considered carcinogens by 2015. For many consumers however, it was too late. In February 2016, a jury ordered pharmaceutical giant Johnson & Johnson to pay $72 million in damages to the family of a woman who died during a battle with ovarian cancer. The jury determined that the cancer was directly linked to the drug company’s use of talc in baby powder and feminine hygiene products. At trial, it was revealed that Johnson & Johnson knew about the risks of ovarian cancer since 1997. An internal memo from a medical consultant read, “anybody who denies [the] risks” between “hygienic” talc use and ovarian cancer will be “denying the obvious in the face of all evidence to the contrary,” the AP reported. Johnson & Johnson failed to inform consumers about the risks associated with talc, according to several lawsuits. If you or a loved one has been diagnosed with ovarian cancer or other injuries associated with the use of baby powder, personal hygiene products, or other household items containing talc; contact a dangerous drug attorney at Cellino & Barnes for a free case evaluation. You and your family could receive significant compensation for your injuries or loss.